A furious Max Verstappen shoved Force India's Esteban Ocon following a crash during the Brazilian Grand Prix while certainly cost the Red Bull Racing man victory. 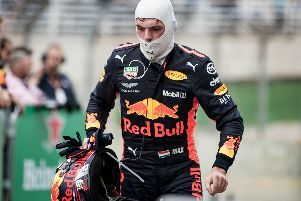 Verstappen was on course to win his second race in succession after he passed world champion Lewis Hamilton for the lead at Interlagos, before a coming together with Frenchman Ocon in the closing stages. Ocon, who was two laps down, attempted to pass the Dutchman into the first corner but collided with the leader, gifting the lead and the win back to Hamilton. Following the race, Verstappen sought out Ocon, who was given a 10-second stop-and-go penalty for the incident, and shoved him as the pair confronted on the weighing scales. Both have been called to speak to the stewards in the aftermath of the race. This is not the first time a Verstappen has been involved in a back-marker to leader accident in Brazil. In 2001, Jos, Max's father, collided with Juan Pablo Montoya's Williams while the Colombian was on course for his first win in F1, forcing the pair out of the race. "He has the right to unlap himself but still you have to be careful. He has always been an idiot. 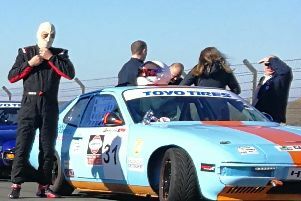 You do everything right and then you get taken out when he is being lapped. Team-mate Daniel Ricciardo recovered from a five-place grid penalty, which saw him start 11th, to finish just off the podium in fourth. Catching Ferrari's Kimi Raikkonen, the Australian could not make a move stick for the final podium place. He said: "I’m happy with my race, I’m happy with all the Team’s efforts but still a bit disappointed to just miss out on the podium. I caught Kimi and could see the podium but unfortunately it just wasn’t quite enough."